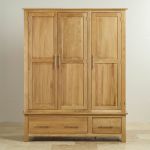 The Rivermead triple wardrobe is an impressive piece of furniture for a master bedroom. 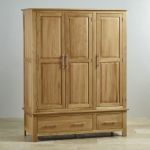 One double and one single hanging cupboard sit above two deep drawers. 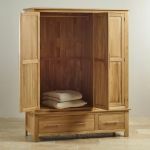 Store clothes, shoes, and accessories tidily away, and you can appreciate the beautiful grain of the natural solid oak. 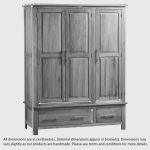 The drawers have traditional dovetail joints for strength, and oak backs, bases, and sides feature throughout the wardrobe. 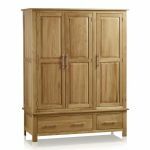 Match your wardrobe with other pieces in the Rivermead range, and put together a classically simple room. 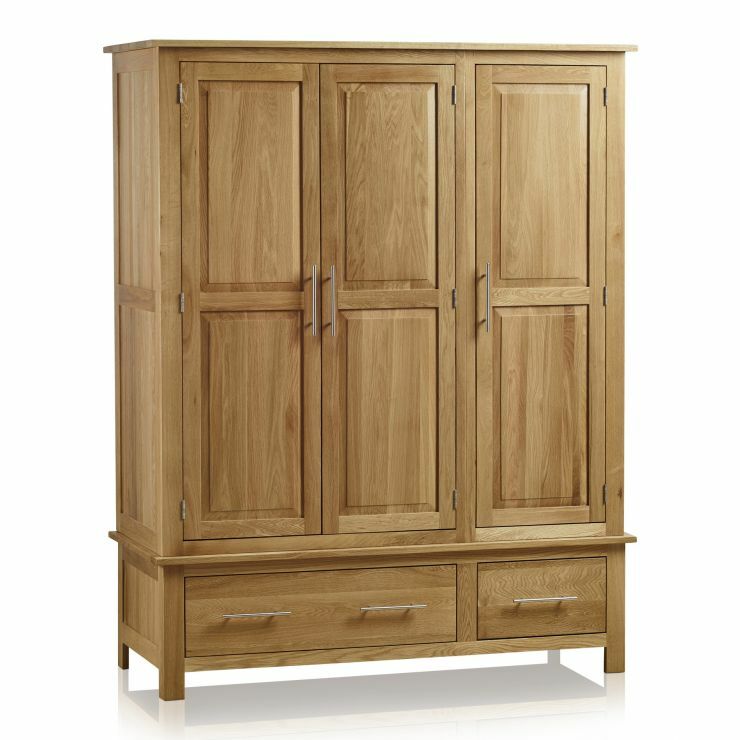 With its natural finish giving an airy feel, you can make your bedroom a real haven.